What Makes a Good Spread Betting Broker? By now you may be wanting to start spread betting, and wondering what makes a good spread betting broker? In other words what should you look for in a spread betting company? Today, most, if not all, spread betting providers will provide you a direct link to them via an internet based and mobile trading platform. There are a number of spread betting companies out there all offering the “best deal, and tightest spread” but it can be a minefield! That spread betting market has become extremely saturated, adverts left right and centre, commission-focused jobs to get people to sign up to new accounts with all sorts of new/dodgy providers, free services and up to zero spreads… Of course spreads are important but so is the execution! You don’t want to get bad fills when you are right and filled with excellent spread if you are wrong. Cheap spreads are rarely an indicator of a superior spread betting provider, likewise with low margins. They can be indicators that suggest looking deeper into how they look after your money. On the other hand fair quotes and a reliable route to market are core. Well, one of the first things that you want to check is the range of financial markets that they cover. Most brokers provide spread betting in many different markets, but you should make sure the providers that you are considering cover the markets you want. Many beginners start by spread betting on indices, such as the FTSE, the DAX, the Dow and the S&P 500. These are easy to understand, and you do not have to be involved with analysing company financials, but just looking at the overall health of the markets. Another financial market where you can take a global view is the currency or Forex market, and again this is relatively standard with all spread betting providers. Historically, commodities were one of the first markets trading with spread betting. You’ll find some brokers include only the major commodities, such as gold, oil, sugar, etc., and others have a larger range. You may want to spread bets on stocks and shares, and while every spread betting broker should cover domestic large caps, if you are interested in trading in the smaller markets or obscure foreign markets you will need to search for the broker who has the markets you desire. Finally, you can also trade on interest rates and on bond issues, and these can be worthwhile although are not so popular. Choosing a spread betting company used to be all about tight bid-offer spreads – but now the focus seems to be turning about platform functionality although of course tight spreads (meaning markets don’t have to move so far for you to make a profit) will always remain important. And when it comes to choosing a provider it certainly still pays to check bid-offer prices and shop around. I realized how essential this is when I checked the prices 3 providers were offering on Rank Group PLC sometime ago. IG offered the best price at 160-163. If you believed that Rank Group’s stock price was about to rally you could go long at 163p; with the 3p gap between the bid-offer price being the spread which is how providers like IG turn a profit. The spread offered by Capital Spreads was a penny wider and as such placing the bet with IG Index would have been ‘cheaper’; even if by a small margin. However, the prices offered by City Index were more shocking: 158 – 165; that’s a whole 7p difference. The prices on offer for several other shares differed as well; sometimes IG offered a slightly better price and other times Capital Spreads offered better value. But the truth is that any spread betting provider can flaunt low spreads, however these mean very little if the customer experiences poor execution, slippage, or a high number of re-quotes. Fixed spreads are normally better than variable ones – some companies will offer super-tight spreads, but will drastically widen them as soon as they see any kind of market volatility. Some providers will offer certain trading combinations, like, for instance guaranteed entry and exit which can be good for those looking into news trading. Other brokers try to keep their spreads as tight as possible or permit their users to use their platform for scalping, trading in and out some 100 times a day or more. What kind of trader are you? Brokers offering tight spreads may be more prone to slippage which is when the price has to be requoted by the spread betting company because the market has moved. Unfortunately even in this age some trading platforms are somewhat cumbersome and difficult to navigate and this is no good. A good spread betting broker will offer a trading platform that is fast and reliable yet easy to use – but not only that; the top ‘dogs’ will also do their utmost to stay ahead of the competition by constantly improving the platform and introducing new features. Having said that there are a constantly increasing number of spread betting providers out there to choose from, the majority of which offer an online trading platform that allows traders to easily access and manage their portfolio round-the-clock. Many also now have mobile and iPhone spread betting trading platforms that suit those who like to view their positions on the go. 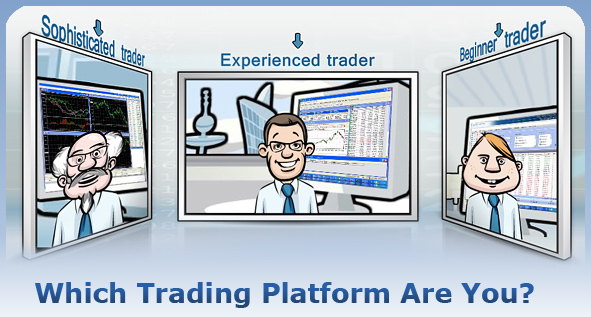 Most spread betting trades can be processed electronically but it is still important that your provider is able to provide adequate telephone and dealing desk backup facilities especially in situations where there is poor liquidity or where the trading platform is strained because of trading volumes, which scenarios are not unheard of. But how do you go about comparing spread betting providers? Having narrowed down the list to those on which you can trade the financial instruments you want, you should concentrate on those items that make one broker better than another. Watch for spread size which varies between providers. Taking the FTSE 100 Future, the spread can vary from £3 (GFT) and £4 (City Index) to £6 (IG Index). From a profit point of view, the size of these spreads offered is important, and you can compare those between brokers and spread betting providers. Note that the spreads will differ between different markets, and make sure that you compare like with like when finding the smallest spreads. Although spread betting providers are expected to mirror the spread behaviour of the underlying traded asset, a spread betting provider may widen bid-offer spreads in instance of heightened market volatility or withdraw tradable prices altogether given unfavourable market conditions and this is something you don’t want. For instance, the publication of market sensitive reports like the USA Non-Farm Payrolls, or a company specific announcement may dramatically affect the share price and spread betting providers may temporarily cease quoting prices should the risk associated with the instrument becoming excessively long or short as a result of customer orders becomes too great. In a nutshell, spread betting brokers/bookmakers in the past (when there were few) could do what they wanted with the price as they didn’t have to quote the true underlying plus they were free to widen spreads whenever they wanted/needed to, which made trading even harder. Now, because of competition, they have had to smarten up. Spreads have to remain tight most of time, fills need to be good, etc.. else we walk. Price is paramount, so the bid-offer spread will always be critical in comparing spread betting trading platforms. However, with spreads ever so tight and trading platforms becoming increasingly sophisticated, it is clear that competition between spread betting providers is heating up. A price war had broken out among UK spread betting providers over the course of much of last year – much to the benefit of spreadbetters. Some providers even dared offering zero point spreads on some markets, however it would be a fair guess to say that the next battle will be fought on the technological front. This should mean less re-quotes for clients and faster dealing as well as better access to data such as Level 2 and account reporting. Increasingly, providers will also be differentiated by the way that their clients interact with the information they provide and with other clients. The more sophisticated platforms will offer professional charting packages and some even free news feeds and technical research but some will even go further by adding social interactivity and data rich platforms. Different providers also vary by way of margins and minimum amount per point. A major index like the Dow might be £2 per point, a single share £1 and a currency 50p. IG Index starts at just 10p per point, but the minimum is 50p with City Index and £1 at Capital Spreads. Execution is also important. When considering which spread betting provider to use for trading, ask how quickly orders are executed which is vital when markets are volatile. IG Index for instance claims that it executes 99.5 per cent of orders within 1/10 of a second. You are trusting your money to the broker, and therefore you want to make sure that the broker is well-funded, accessible and regulated. Often the providers will have other services on offer, and may even be affiliated with a bank, all of which suggests that they should be financially stable. In today’s business environment you need to know that your broker is prepared for any sort of disaster. Whether that disaster is as simple (and dehabilitating) as a power outage or something far more serious, your broker needs to be able to cope. Business Continuity’ and ‘Disaster Recovery’ are more than just catch phrases – they describe the broker’s ability to keep their promises to you, come what may. Regarding accessibility, I would recommend calling them on the phone and judging for yourself whether they are enthusiastic to provide customer service. UK based spread betting companies are fully regulated, and frequently providers are also under other financial regulations because they provide different trading services. Curiously, it is only recently that spread betting providers have started pouring more resources on customer education. This has, of course happened in response to increasing competition and widespread recognition amongst operators that customer acquisition and retention policies need to improve. Competitive Prices and Tight Spreads. When market trading volumes peak, for example during a news release, the bid-offer spread should shrink as a result of the tighter market spread. Spreads will vary depending on the product offered but different providers may offer varying spreads from each other. Most important thing is the level of crookedness! Fast Execution. No interference – trading with minimum dealer distortion. Charting packages are useless if packets of data go missing every once in a while. Re-quotes (trying to get you in a trade at a worse price) are bad as is opening orders or closing stops with too much slippage or suddenly increasing spreads (with no reports or news at that time). Slippage are a cost of doing business but in most cases your spread bets need to go through at the price offered and prices shouldn’t be invented. Low Margins. Leverage and the ability to trade on margin is one big attraction for you to trade spread bets, so you should consider the best margin requirements that will bring you the optimum trading exposure. Normally margin requirements usually range from 5% – 30% depending on the market you trade. Low financing charges, so that the costs of running positions over extended holding periods doesn’t erode your gains. Since you are effectively borrowing money from your spread betting provider, therefore you will be charged what is referred to as a ‘financing charge’ for the total amount of your spread bet holding. Most spread betting providers use the current LIBOR rate plus a possible 2% or 3% as financing charge, which is computed for as long as you’re holding an open spread betting position. A simple and intuitive user interface, so that you can check profits/losses at a glance and concentrate on trading as opposed to figuring out the platform. A wide range of markets to trade including all FTSE 350 constituents (and more). Make sure that your spread betting provider offers a wide range of markets to trade that will give you access to bigger and more liquid markets with better trading opportunities. Availability of advanced risk management tools such as guaranteed stops and trailing stop orders. Make sure that your provider is regulated by the Financial Services Authority. A good spread betting broker will also provide online trading software which is easy to use and has the facilities you require including multiple trading platforms (for PC, web, mobile and iPhone) that are reliable and customisable, with live charts and charting tools. In particular, if you are regularly away from your computer you need to research which companies offer good facilities for mobile trading. In particular, the facility to spread bet via an iPhone or iPad is expected from many users who want the ability to be able trade on the move and spread betting providers today increasingly have apps for the iPhone, iPad and Android based devices. You also need to confirm that the types of order that you would like to use are all available, as for instance guaranteed stop loss orders and trailing stops are sometimes not offered. Extras that you may find are things like free video training courses offered by some brokers. These ideas all come together to define what makes a good spread betting broker. Most clients today have several spread betting accounts across a range of trading providers and deal with the trading platform that gives them the best price in that particular product. What clients really want to see is tight prices and a robust, fast trading platform. They like to have simple, easy-to-use tools and an array of ‘free’ information such as live charts, historical data, economic and corporate calendars and independent analyst information, giving trading information such as supports/resistances. In any case it would be good if you would open a few spread betting accounts and take up their offers of a free demo account to test them out and then make comparisons for yourself. Opening a live spread bet account is quite a simple process and often involves little more than filling in a form online. Once your account is open you need to transfer funds, normally about £100 (although we recommend that you start with at least £2000), in order to start trading. Spread trading providers are like most companies in a particular industry, some are good, some are crap and some are okay. Check our reviews of spread betting brokers. They’re packed with details about the individual spread betting companies, with lists of spread betting providers too.